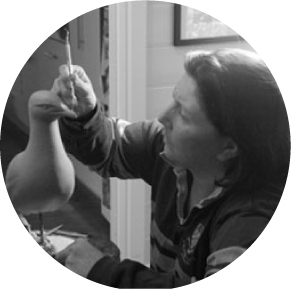 Lucy McEachern is a renowned, bronze sculptor drawing inspiration from her rural Australian surroundings. Brought up in the South West of Victoria on a farming property, Lucy has developed a deep affinity with the enchanting birds that dwell in the local landscape. Lucy’s tactile sculptures not only capture her subject’s individual characteristics, but also invite the viewer to feel its contours in a celebration of their majestic presence. Lucy McEachern’s sculptures can be found in galleries throughout Australia and collections worldwide. 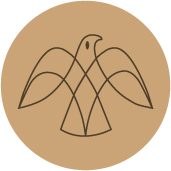 2016: Leigh Yawkey Woodson Art Museum ‘Birds in Art 2016’ Wausau Wisconsin, United States of America. 2013: Finalist in the ‘Agendo 2013’ Emerging Artist prize, The Abbotsford Convent Abbotsford, Melbourne. 2011: Finalist in the ‘Agendo 2011’ Emerging Artist prize, The Abbotsford Convent Abbotsford, Melbourne. 2011: Finalist in ‘The Waterhouse Natural History Art Prize’, South Australian Museum, Adelaide.